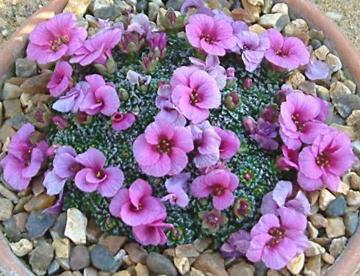 Small cushion-forming alpine with tight rosettes of tiny, lime encrusted, grey-green leaves. Quite large bright purple flowers in spring. Porphyrion section, Kabschia subsection saxifage. One of the 'Blues Group' cultivars.